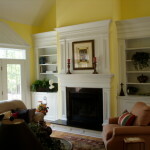 Have a question about our painting services? Check out our list of FAQs below, and if you can’t find what you’re looking for, get in touch. How long has Tree City Painting Company been in business? We have been a registered Washtenaw County business since 1988. Yes. We carry workers’ compensation insurance and one million dollars in liability insurance through Klienschmidt Insurance Agency of Ann Arbor. A certificate of our coverage is provided with each written proposal. Our typical workday begins at 9:00 a.m. and ends at 5:00 p.m., but we can alter hours if the job requires it. 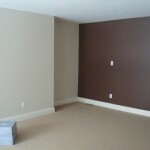 We offer interior painting services and occasionally do light commercial work. Do you offer other household repair and renovation services? Yes! 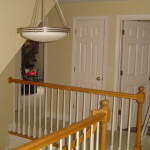 In addition to interior painting services, we offer drywall, plaster, and textured interior surface repairs; detailed wall and woodwork caulking application; woodwork staining, refinishing, clear coating, and repairs; wallpaper removal and wall covering preparation, sizing, and application; water and smoke damage repairs; surface mildew and mold removal; interior floor coating surface preparation and application; expert surface preparation and precision finish painting; and dustless sanding. 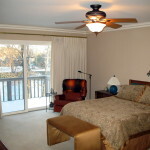 What are your rates for interior painting and other services? Tree City Painting offers competitive, reasonable rates, as well as discounts for seniors and MCard holders. What cities in Michigan do you serve? We’re based in Ann Arbor, but have many satisfied clients throughout the region, including Dexter, Saline, Milan, Whitmore Lake, Belleville, Ypsilanti, Plymouth, Canton, and areas in between. We primarily serve the Washtenaw County area. Who will perform my painting renovation? Co-Owners Andy Shadle and Kyle Morris. When can I expect to receive my painting estimate? Usually in one business day. Your estimate will be sent via email along with product specification sheets for recommended paints. Is paint included in the price? Yes. All surface preparation products, sundry items, and finish paint are included. We pass along our contractor discount on all materials to provide our customers with the most competitive pricing. Yes. We believe every customer is equally important, and only focus on one job at a time until proper completion. What if a paint job spans multiple days? At the end of each work day, all areas will be cleaned, and all coatings, painting equipment, ladders, and scaffolding will be secured and stored properly. What types of paint do you use? We only use products from top-tier national suppliers, as well as the best products from the locally owned Anderson Paint Company. To learn more about the products we use, visit our painting services page. Do I need to prepare my rooms for painting before your arrival? Household possessions such as small tabletop items, lamps, pictures, wall art, throw rugs, and plants should be removed from work areas (if possible), and closet interiors should be emptied. If small children are present, specific job-site safety concerns will be discussed prior to the project’s start date. What do you do to protect the work area? Remaining larger furniture items will be carefully condensed into the center of each room and covered with new plastic sheeting. Floors will be covered with clean, waterproof drop cloths, and all baseboard moldings will be masked and protected. All trim hardware, light switch covers, and electrical outlet covers will be removed, and kitchen/bath fixtures, stained woodwork, railings, appliances, light fixtures, decorative brick, and tile will be covered and protected. Proper care will be taken at all times to protect surfaces that are not being refinished. Will I receive touch-up paint for future use? Yes — we will supply a touch-up quantity of same-batch paint. All finish paint will be labeled with the date, origin, and tint formulas. You will receive touch-up paint for all surfaces painted.